R is a 37 year old lady from Flushing. 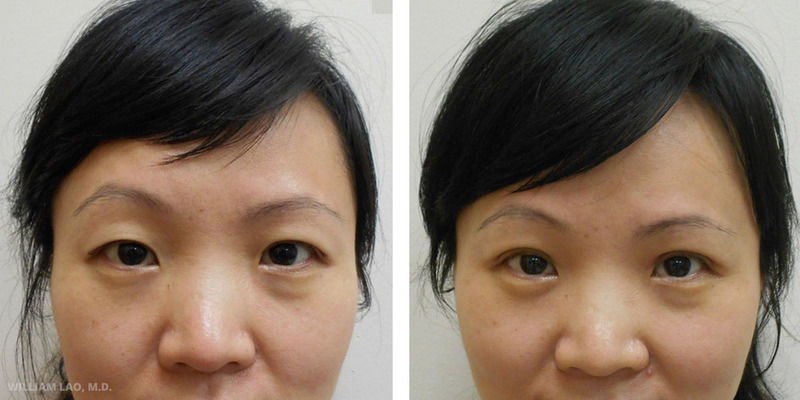 She had prominent single fold eyelids, brow asymmetry and a widened eye distance. Only double eyelid surgery was performed since she was not interested in correcting her brow position and having a medial canthoplasty.